From time to time we like to highlight popular flooring trends. It's always fun to see new options in flooring and creative ways that other homeowners are using hardwood in their homes. Sometimes the most frequently requested floors at our Indianapolis hardwood store are slightly different from national trends. Hardwood flooring is certainly always a popular choice but what types of hardwood are we seeing requested most often right here in Central Indiana? We asked our design consultants - their services are always free to Kermans customers - and here's what they told us. Wide plank hardwood flooring is still very popular. One of the most important choices you'll make when selecting your hardwood flooring is plank width. Wood floors do not come in just one width. Standard width is 2 1/4 - 3 inches wide. Move beyond that, however, and you've got a world of choices. Five inches is generally where "wide plank" starts but you can go even wider. Generally people tend to choose something in the 6-10 inch size - either random widths in that range or all one size for a smoother, more contemporary feel. Depending on the species you could even go with 12 inch wide planks - in which case you'll want to also see if extra long boards are available to truly give you the look you want. See also: Choosing the right width of hardwood flooring. I'm selling lots of darker hand-scraped hardwood floors. Busy homes are always looking for a floor that will stand the test of time and heavy use. Hand-scraped or distressed hardwood floors is one great way to have a hardwood floor that will look good for years to come. Hand-scraped hardwoods are better at hiding the inevitable scratches and dents that come with a busy household. And if you select hand-scraped hardwoods in darker stains or woods you'll go one step further to having a floor that doesn't show wear and tear as easily. It's a rustic look, depending on how heavily distressed your selection is, but it is a look that works very well in many homes. See also: Using dark hardwoods in your home. People are starting to request hardwood floors in the grey family. Grey is one of the hottest home design trends. So much so that we often think of grey flooring as the new neutral. It's a cool shade that works well in almost any decor and today's hardwood manufacturers have made it an option even for wood floors. 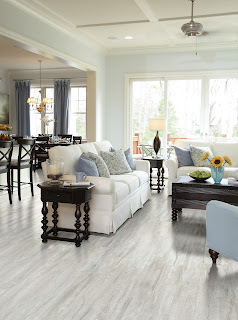 Grey hardwoods offer a very modern - almost industrial - twist to a floor. They are perfect in contemporary designs and available in variations from the palest shade to charcoal grey. See also: When going grey is good. Hardwood flooring is a flooring choice that stands the test of time. Thanks to manufacturing styles and design influence, it is also a floor that lets your personal flair shine through. Looking for hardwood flooring? 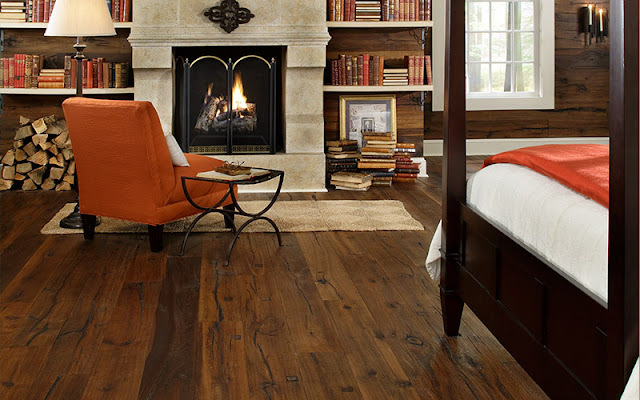 Look no further than the hardwood flooring experts at Kermans. Stop by our showroom to see our wide variety of hardwood flooring samples.